Tattoos can be a beautiful human expression, but as our lives change, tattoo regret may take over. Everyone is unique and so is their tattoo, therefore it’s important to customize a plan that fits your individual needs. During your free consultation one of our Registered Nurses will determine the specific elements of your tattoo and devise a treatment plan that ensures you the best results. During your course of treatments in the removal process we will make adjustments according to how your tattoo is responding. 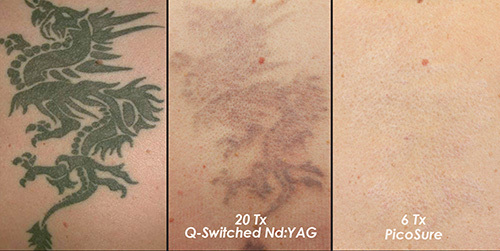 Not all tattoos are the same, they have multiple colors and layers therefore successful removal is based on devising a treatment plan that meets your personal needs. 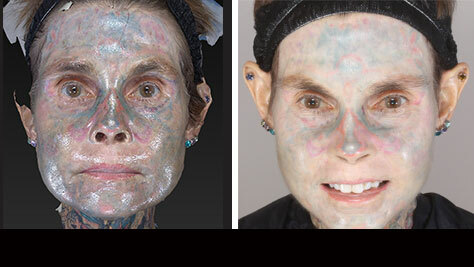 Before and after photos courtesy of Cynosure, Inc.
Julia Gnuse commonly known as The Illustrated Lady, is the world’s most tattooed woman. 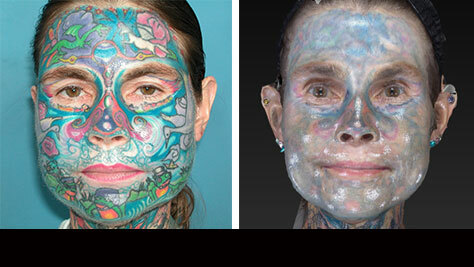 She earned a spot in the Guinness Book of Records for the most tattooed woman on Earth. 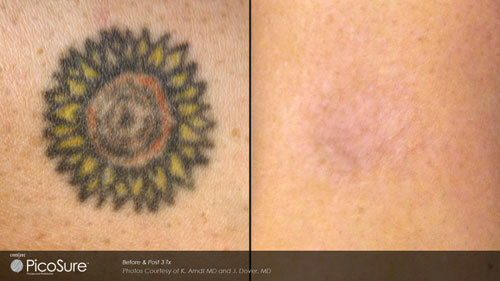 In her mid 30s, Gnuse developed porphyria, a condition in which sunlight results in blistering of the skin. 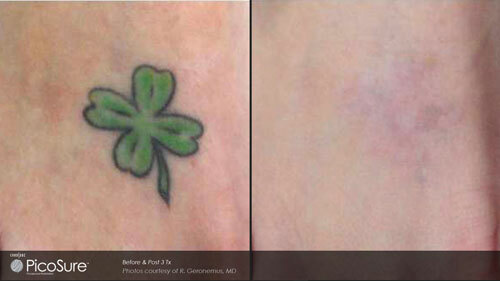 As the blisters often result in scarring, she began getting tattoos as a way to cover up the scars. 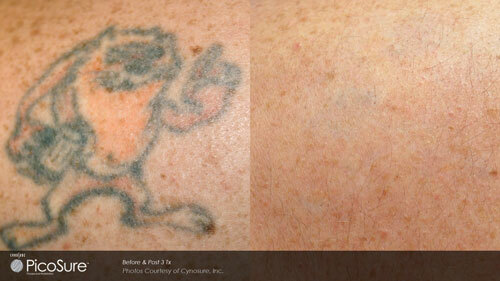 She is now removing her tattoos with Dr. Heinrich and PicoSure.